I've had the chance to start and work with some awesome companies, which has been one of the great learning opportunities of my life. The logos and product descriptions below don't begin to describe what went into building these companies, nor do they convey the importance to me of the people with whom I have had the priviledge of working. Curated Talent, Vetted Employers. VocaWorks is the next generation on-demand hiring platform. VocaWorks focuses on delivering best-in-class in-app and online employment experiences for both employers and professional talent. Discover quality contract talent from any device at any time. Native Apple iOS app coming in Q2 2018 and on the web at https://www.VocaWorks.com. 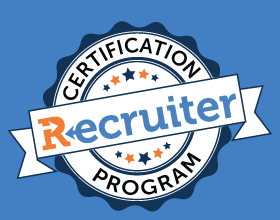 Recruiter.com, Inc., is an online recruiting service that offers an industry-leading job marketplace software platform. With a highly engaged membership base, Recruiter.com works with hundreds of clients and employers and manages a social media following of more than 3 million people. Recruiter.com was cited as one of the Top 35 Most Influential Career Sites by Forbes and listed by Inc. as one of the 9 Best Websites for Finding Top Talent. Learn more at https://www.Recruiter.com. Designed for those with no previous recruiting or staffing experience who want to break into the arena, our state-of-the-art training program will put you ahead of the curve as a certified Recruiter.com recruiter. Learn more about the recruiter training program. Sana Labs is an AI-company that personalizes education. We offer real-time recommendations for forward-thinking online education companies that have content in math, language, science or coding. Our team previously built the recommendation engines behind YouTube and Spotify and has developed a groundbreaking API for personalized education at scale. Sana Labs calculates each student's optimal learning pattern and predicts how they will perform in future interactions, increasing engagement and learning efficiency for every student. Learn more about Sana AI for education.